Superficially, misconduct in public office is a strange offence. It was created by the higher judges in England, apparently in the 13th century. The full reasons for its creation and development are lost in the mists of time. But one issue stands out clearly. There was a need, if one believed in the rule of law, to create an offence to hold those in positions of power and/or carrying out important public duties to account for serious wrongdoing and/or misuse of their positions. There was no statutory offence which would cover such situations. In Hong Kong it seems this remains the case. 55. For the reasons given above, I reject the defence argument on the First Issue. I rule that the present case is not covered by parliamentary privilege and does not contravene any of the protection provided by the Hong Kong provisions. I rule that this court has jurisdiction to try this case. In this regard, I note that the charge of misconduct in public office would not be made out unless the misconduct in question was “wilful”, “without reasonable excuse or justification” and “serious”: see Sin Kin Wah v HKSAR. Applying to the present case, the common law offence would bite only those cases of non-disclosure of interest by members which are so serious as to warrant criminal sanction. The seriousness of an alleged misconduct would very often depend on its legal and factual context: see the recent comments of the Court of Final Appeal in Chan Tak Ming v HKSAR. (5) where such misconduct is serious, not trivial. The above elements are re-affirmed in the recent case of HKSAR v Hui Rafael Junior, supra. 70. I bear in mind that the burden is on the prosecution to prove the charge beyond reasonable doubt. The defendant is not required to prove anything. In the present case, the defendant chose to give evidence. This is his right and no adverse inference would be drawn from this against him: Lee Fuk Hing v HKSAR. 102. I am fully alive that the burden of proof is on the prosecution. However, purely for the sake of convenience I would first consider the evidence of Mr Ng. 104. Having considered all the evidence and bearing in mind the burden of proof, I find that there is some credence in Mr Ng’s evidence that Ms Tong had helped the defendant in respect of the work of LSD in NTE. Firstly, the fact that the defendant had claimed reimbursement from LegCo in respect of Ms Tong does not mean that she had not also helped him, with or without pay, in respect of LSD. Secondly, Mr Ng’s evidence that Ms Tong was an active member of LSD has not been contradicted by any other evidence. Thirdly, that the defendant would trust Ms Tong not only regarding matters relating to his office in LegCo is to a certain extent supported by the agreed bank evidence that he had transferred the whole of the proceeds of the 1st Payment from his bank account to her bank account. 82. Mr Lee made a half-way submission after the prosecution had closed its case. The sole ground of the submission was that even assuming that the prosecution would be able to show that the defendant had not registered the 1st Payment pursuant to Rule 83 of ROP, he could have done it orally at any of the LegCo meetings under Rule 83A of ROP during the charge period and there is no evidence that he had failed to just do that, the prosecution having failed to adduce records of all of the LegCo meetings during that period. 83. In reply, Ms Lai for the prosecution submitted that Rule 83 and Rule 83A imposed different and separate duties. Furthermore, the defendant should have known by reading the paper for the motion debate on 22 January 2014 that the matter about Next Media was to be raised. That should have alerted him to register his interest pursuant to Rule 83 and also to make an oral declaration at the meeting pursuant to Rule 83A. However, the defendant failed to do either of those. 84. Having heard counsel submissions, I ruled that the defendant has a case to answer. I said that reasons would be given if and when necessary. This, I now do. (b) Rule 83A provides for a Member’s duty to declare his interest at a meeting before moving a motion or speaking in case of a situation which may involve a conflict of interest. 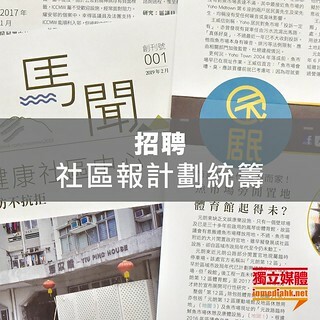 Lastly, as regards “seriousness” of the alleged breach/misconduct, taking into account the constitutional status and responsibilities of the office of a LegCo Member, the importance of the public trust reposed in legislators and the right of the public to know whether the speech or deeds of their representatives in LegCo are motivated by other interests and the circumstances of the alleged misconduct in the present case, it would be open to a reasonable jury to find that the misconduct, if established, was a serious one. For the above reasons, I rule that the defendant has a case to answer. Needless to say, whether the defendant is guilty of the offence charged is a matter to be decided in due course after taking into account all the evidence. 107. I consider that the defendant’s conduct is not without suspicion. This is because of the replacement of the original cashier order (in LSD’s favour) with the subsequent cashier order (in the defendant’s favour). Even according to the defence, the defendant had a role to play in causing that replacement. However, having taking all the evidence into account, I cannot be sure that the latter cashier order was for the defendant personally as a LegCo Member rather than a payment which he had received on LSD’s behalf. As such, the benefit of doubt goes to the defendant. That means that the prosecution has failed to prove the main plank of its case, namely that the defendant had committed a misconduct by breaching his duty of disclosure under Rule 83 of ROP. As a result, it would be unnecessary for me to consider whether the prosecution has made out the remaining elements of the offence which are in dispute. 108. As the tribunal of fact, despite the suspicions I have of the defendant’s conduct, I am not satisfied that the prosecution has proven its case against him beyond reasonable doubt. In the circumstances, the defendant has the benefit of doubt and is acquitted of the charge.